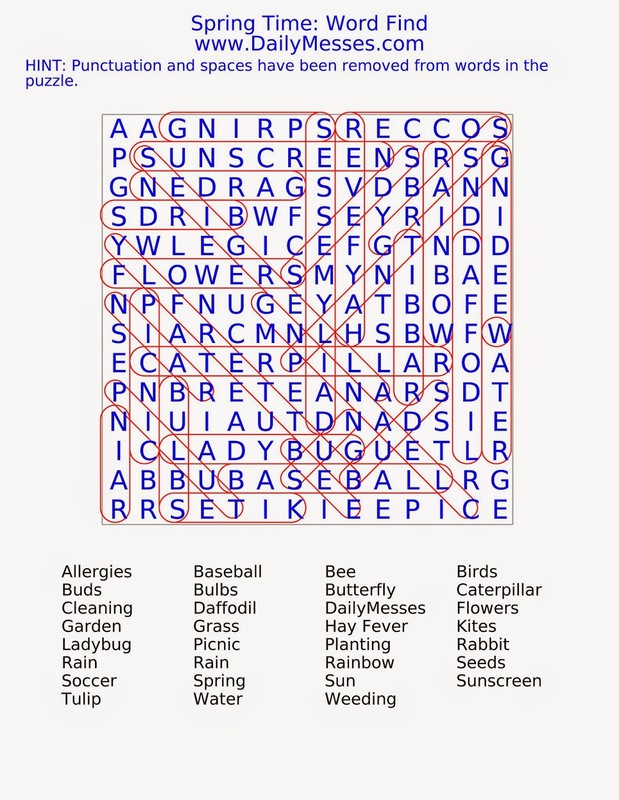 I am very ready for the cold weather to be done and spring to come, even if it means allergy season comes with it. I can't wait for colorful flowers and plants, warmer days, and the kids having fun at the parks. 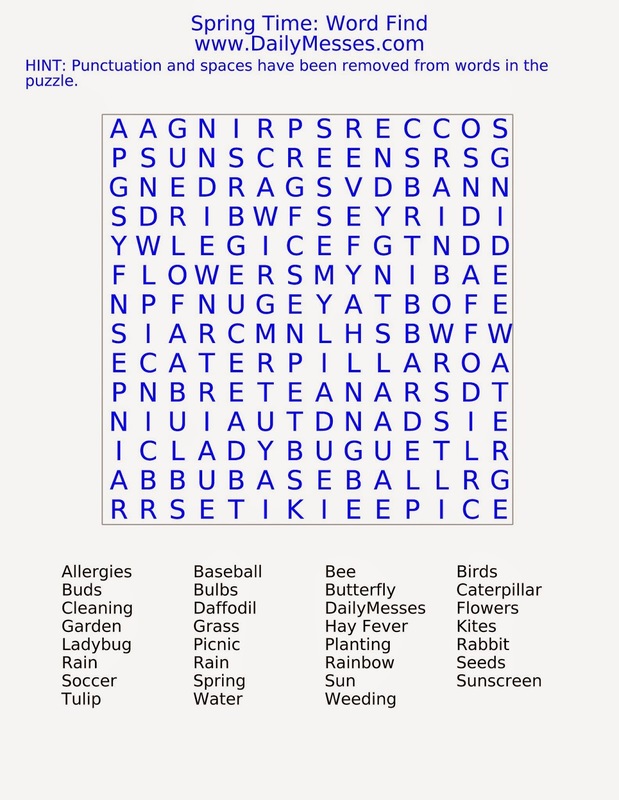 In honor of Spring finally showing signs of coming, here is a Spring themed word find!